Asia: Clothes vs. Backpack | Petite Plus, Meow! In exactly TWO Fridays, I’ll be at the airport on my way to the tropics to explore and live as beach bum for nearly a month with only the items I bring on my back – literally. My immediate thought: Where Do The SHOES Go!??!?! When I did my big trip to India, I bought myself a sturdy Women’s North Face backpack with Opti Fit™ System provides an intuitive, adjustable, easy-to-use-tool to measure torso length to ensure a correct fit. This was a big deal since I’m all of 5’2 – these adjustments were critical. The shoulder harness easily slides up or down according to user’s back length, and cam locks pack in place. 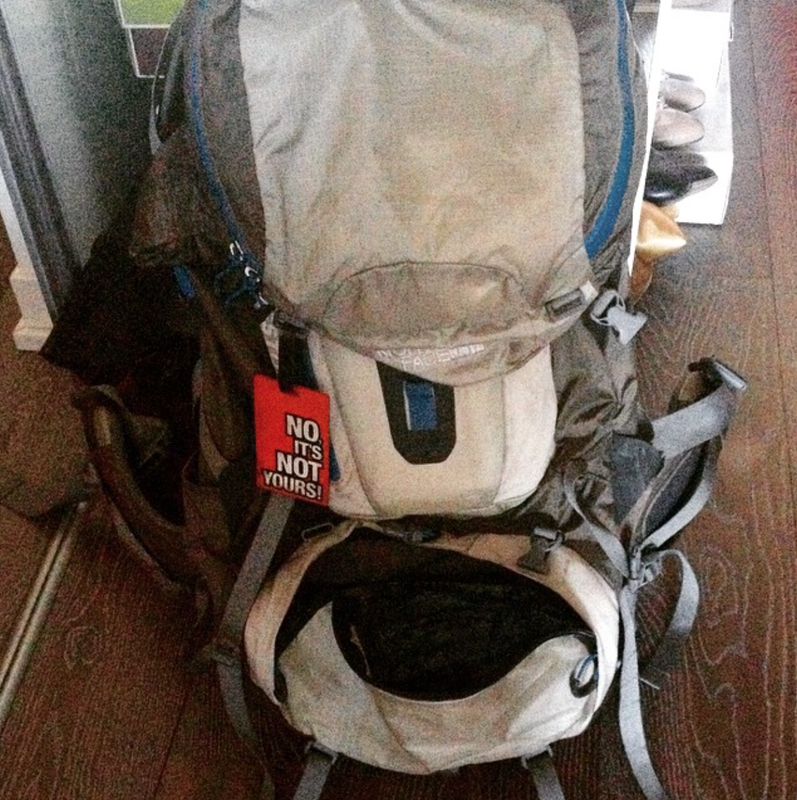 This pack is also tough enough to withstand the forces of nature and airport security. It was pretty expensive (I picked it up on sale when I bought it back in 2012), but within the world of backpacks and suitcases it’s certainly worth the investment if you’re planning on traveling long-term. Thank you for your comments and suggestions on the Petite Plus, Meow’s FB page … it has helped me come up with a checklist to pack the essentials. I went out and bought myself a new Travel Purse aka Day-Trip Bag … its material is apparently slash-proof and has a cut-proof shoulder strap too. I’ve been warned about aggressive pickpockets where I’m headed, so it’s kinda nice knowing my bag won’t be such as easy victim. Especially since this will be the bag I keep my most prized possessions like money, credit cards, passport and snacks from airport to airport. The weather is expected to be tropical super-summer-heat for the month of March (30+ degrees). Plus, the main religions present in the three countries I’ll be exploring are: Islam, with significant Buddhist, Hindu and Christian minorities. These are the two factors I’ve gotta keep in mind when coming up with outfit choices for the trip. ROUND 2 was much better. Thin long pants. I plan on wearing these on my flight days. Sun hat. Packed one that bounces back into shape, regardless of being packed in my carry-on. Large, thin scarf. This is great for a chilly night out and useful for covering up shoulders, head and cleavage as needed. Plus it dresses up an ordinary outfit – cute scarves make it look like I’m at least trying. Belt. Figured it would give me more options when mix and matching, giving an outfit a different/new look. Comfort tank tops (x4). For daytime activities and easy beachwear. Sarong. This not only can be a cover up at the beach…. but it can act as a fast trying towel, a sheet to picnic on, blanket for an over air-conditioned bus ride. Swimsuits (x2-3). I just got my GabiFresh Swimsuitsforall – my first two-piece ever! These will be making their debut Fo Sho!! Sun dresses (x5). These are basically what I wear everyday. Plus one extra one that currently fits me perfectly that I’m hoping to get copied by a tailor in Vietnam. Lounge shorts. I’m not a bit shorts wearer, but figured in 30+ degree weather I may want something quick n’ easy to pull for those lazy mornings. Nice tank tops (x3) for dinners out or party evenings. Small cross-body purse. 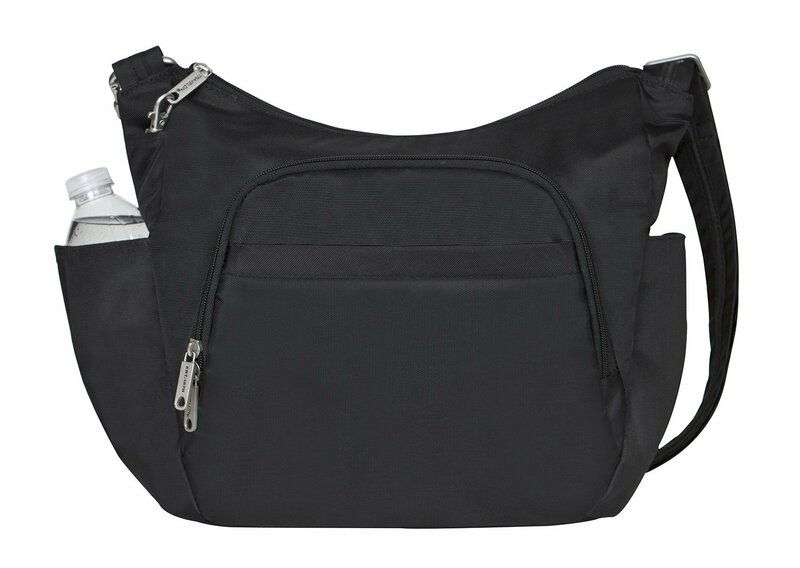 Great for heading out to dinner when I don’t need to carry much – this one has a wristlet strap too. The cross-body strap is nice because I never have to take it off, even when sitting. And I can adjust the strap to fit across my waist (like a fanny pack) at swing dancing events. This helps deter would-be purse snatchers. Flip flops. Bring one pair that can get wet for the beach. Plus, need something to walk around in the hotel room (and possibly in the shower). Slip-on shoes. I plan on swing dancing while I’m there, and my usual dance shoes needed replacement and more support. So I bought myself some cute black Champions memory foam that can be sporty or dressed up. These will likely be what I wear on planes too (with a pair of socks). Walking sandals. Something light, breathable, and easy to slip on is fantastic in hot, beachy climates…, or if I have a big day sight-seeing. I plan on wearing these the most all trip, so these are also memory foam supported. Black pencil skirt. This basic piece will help transform any of the top options into evening/party wear. Tee-shirts (x2). For travel days so my backpack doesn’t rub on my bare shoulders. Happy to report that I’ve done a practice run at packing my pack — using the ‘burrito method’, where you layer clothes flat onto of each other and then roll them all up together and end up with one giant burrito of travel clothes…which then easily fit into a long backpack (like mine), maximizing the space. I’ll likely bring along a simple solid cardigan too for the flights … I haven’t figured out my “Pearson Airport” outfit yet, but I’m determined to wear items out of the above in layers, reducing the bulk of my backpack a bit more. And, am aiming to leave my winter coat at home. So glad I tackled this well in advance of my trip, as I was really anxious. I hear it isn’t easy finding larger clothes in the cities I’ll be visiting. 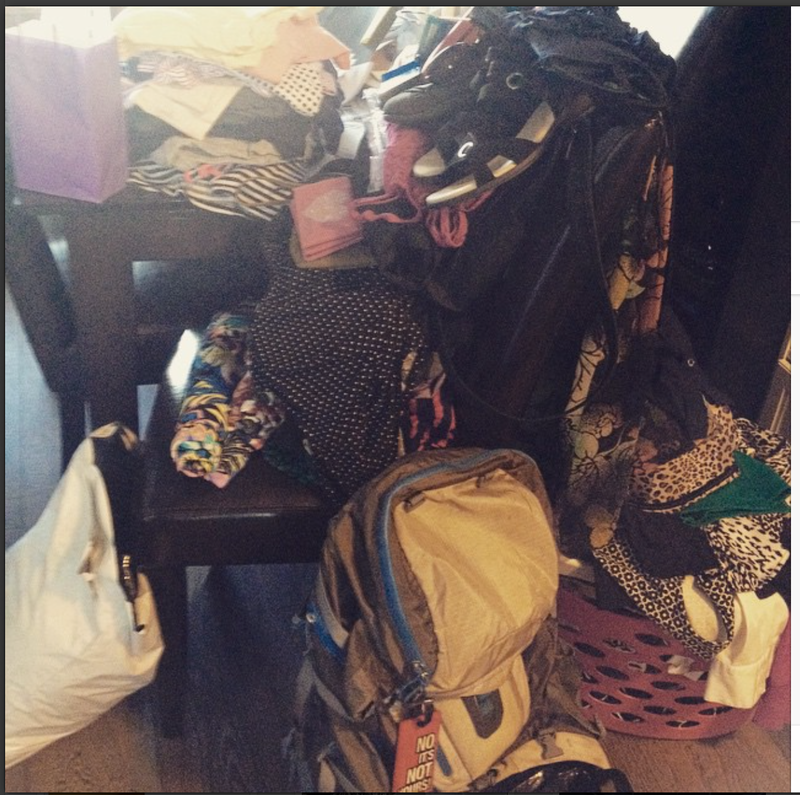 With all my many connections, the possibility of losing my luggage filled with PLUS SIZE clothing was terrifying. Even more motivation to only travel with carry-on! I’m very proud of myself for being able to streamline my choices as much as I have. And I’m determined to continue treating the world as my runway … even if it means wearing pieces that are wrinkled repeats that have been slightly re-accessoried to give me a new look from my travel backpack. To find out where exactly I’m going click here. To find out what to know before you go, click here. Have you LIKE’d the Petite Plus, Meow’s Facebook Page yet? 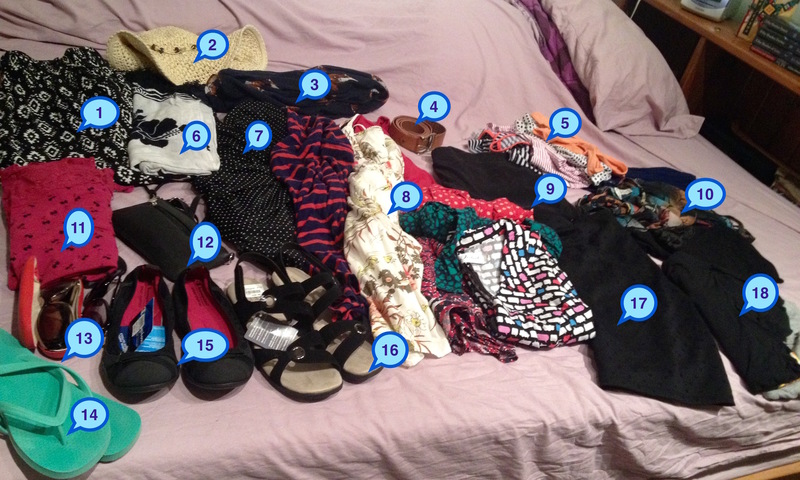 22 days and one carry-on! I am very impressed! Have a wonderful time ! Pingback: Salsa @ Lula Lounge | Petite Plus, Meow! Pingback: FYI… | Petite Plus, Meow! Pingback: Asian Adventure: 30+ hours of Travel | Petite Plus, Meow! Pingback: Boracay, Philippines – White Sand Beach | Petite Plus, Meow! Pingback: Asian Adventure: Boracay, Philippines – White Sand Beach | Petite Plus, Meow! Pingback: Asian Adventure: Hội An, Vietnam – VLX (Lindy Exchange) | Petite Plus, Meow! Pingback: Asian Adventure: Kuala Lumpur, Malaysia – Food, Fun & Fashion | Petite Plus, Meow!